Nelson & Pade, a Wisconsin-based aquaponics company, recently traveled to Haiti to launch an aquaponics system that can grow vegetables and fish to help feed people. 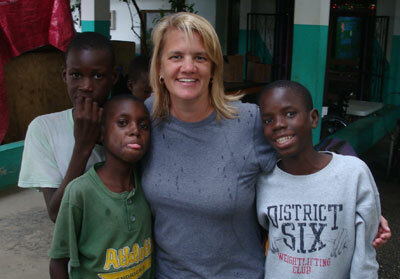 Co-owner Rebecca Nelson (pictured to the left) said they began the installation of an aquaponics system and greenhouse at the Northwest Haiti Christian Mission. For those not familiar, aquaponics is The word, aquaponics, may still sound new and foreign-sounding, but the term is beginning to get the attention of many who see it as one sustainable agricultural solution for an increasingly crowded planet. This might be especially true for poverty stricken countries. Other inspiring descriptors come to mind: inner city agriculture, gardens that don’t waste, poverty gardens, gardens for crowded areas. 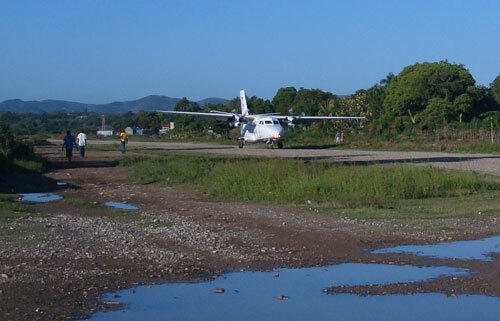 After landing in Haiti, Nelson wrote, “The Haitian people, despite the poverty they live in and are surrounded by are incredibly resilient and friendly. “We are very excited about the launch of this project and the collaboration with NWHCM. I believe that this system is just the start of a new and innovative direction for all of Haiti. Fresh, nutritious food, produced locally and on a large scale has the potential to change the nutritional and economic future of a country that has suffered corruption, poverty, and natural disasters.